QUANTOS delivers services which provide insights into vital business and research questions. 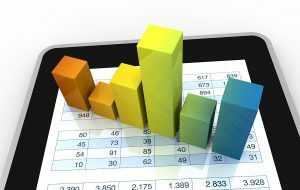 We provide statistical consulting services in fields such as design and implementation of surveys, data management, statistical data analysis, data/text mining, design of indicators, forecasting and nowcasting techniques and many others. These are all services that help businesses and organizations add value to their services, for example by better understanding their customers and improving their offerings. Statistical knowledge can also help to identify opportunities for costs reduction. Our company applies advanced data mining methods adjusted to the specific needs of each client with the use of specialised software tools and widely used open-source libraries in R and Python. QUANTOS specializes in the application of statistical methods for the advanced analysis of all kinds of data. QUANTOS uses quantitative research methods to investigate customer attitudes or perceptions and market responses. With face-to-face or phone interviews and online surveys, we help businesses understand their market positioning. We use sophisticated modelling and analysis techniques which are not known to the typical market research companies.